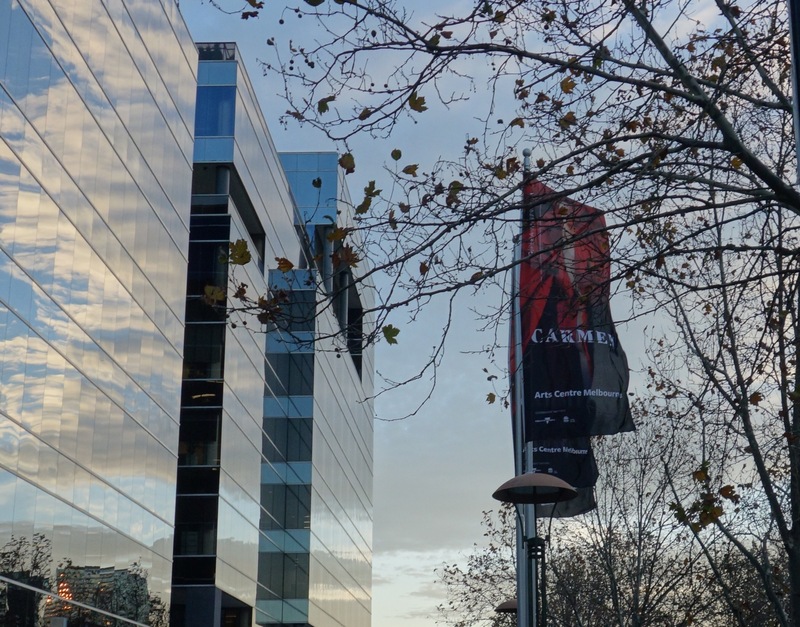 On my last night in Melbourne I have a ticket to see the last performance of “Carmen” by the Australian Opera at the State Theatre. There are banners and hoardings all over town advertising it. I’m drawn to it in the first place because the Shakespearean actor and director, John Bell, is directing it, his second foray into opera. I last saw him as Shylock in a theatre-in-the-round performance of “The merchant of Venice” at the Canberra aquarium in the early 1990s. Then the doors open and I find myself looking down and down and down into the plush redness of the theatre. I clutch the wall as I descend steeply to my seat in the front row of the balcony, with a solid rail protruding in front of it to prevent me tipping myself into the auditorium in my enthusiasm for the performance. I’m at the side, but I have an excellent view of the stage and of the orchestra. The theatre fills, and the noises of anticipation increase: chatter and the tuning of instruments. The curtain lifts on a scene I recognise from Sue’s photos of Havana: Bell has set his “Carmen” amongst the gangsters and military police of Cuba. I’m not sure my seat offers the best acoustics, but it gives me plenty of room and a good view as the story unfolds: Carmen playing her charms for all they’re worth and sensing her doom; Don José lovesick and savage; Micaëla demure and determined; Escamillo arrogant and self-obsessed. The chorus of boys is charming, one lad in particular tumbling and playing to the audience with delicious self-confidence. The highlight for me, perversely, is a flute solo in the overture to the second half, but I also love the energy of the dancing; the shiny purple garb of the chief gangster; Don José’s battle between love and duty; and Carmen’s uncompromising desire for freedom. 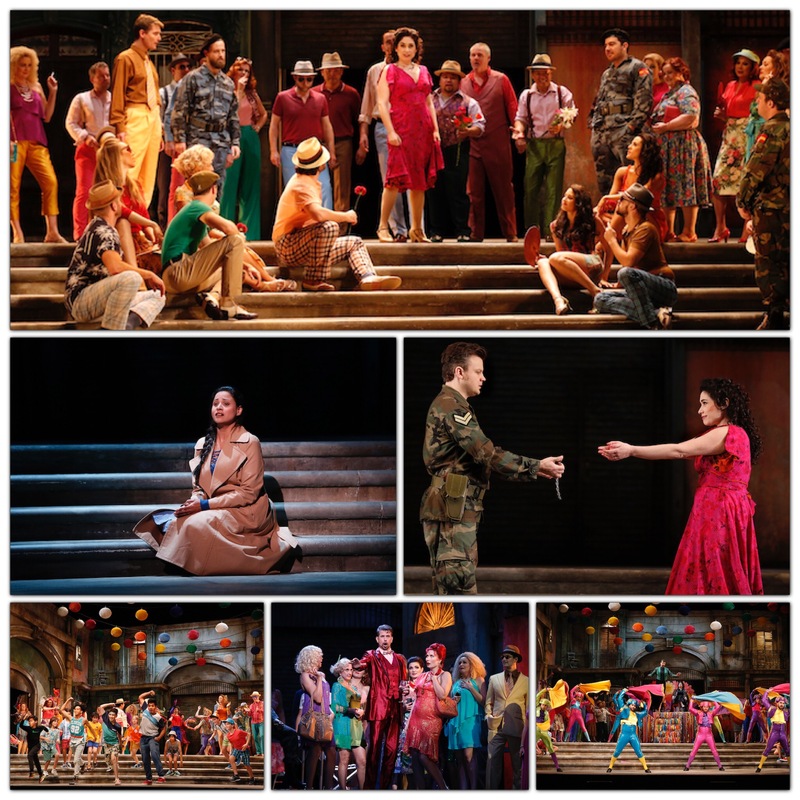 The singers are Rinat Shaham as Carmen; Dmytro Popov as Don José; Shane Lowrencev as Escamillo; and Stacey Alleaume as Micaëla.